Less fixture and Reflow Carrier for soldering. 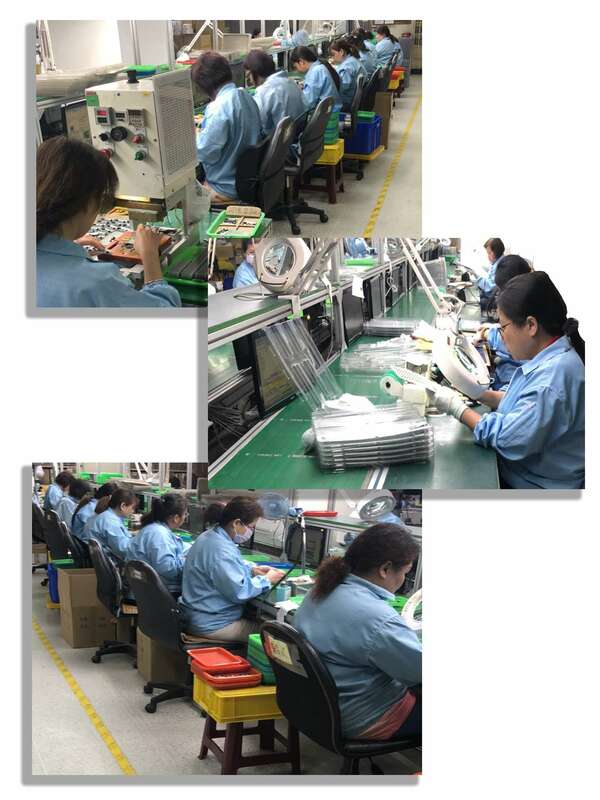 Plating Through Hole parts uses normal wave soldering condition without high temperature reflow material. 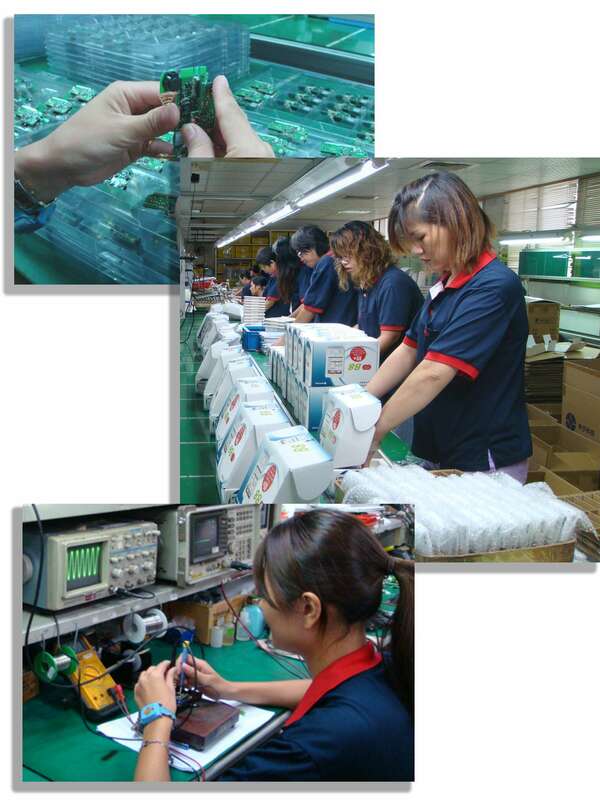 To obtain good soldering quality and fill Plating Through Hole rate. It doesn’t need Reflow high temperature area to approach the purpose. More small avoidance area than wave soldering reflow carrier. The PCB will not deform by high temperature. 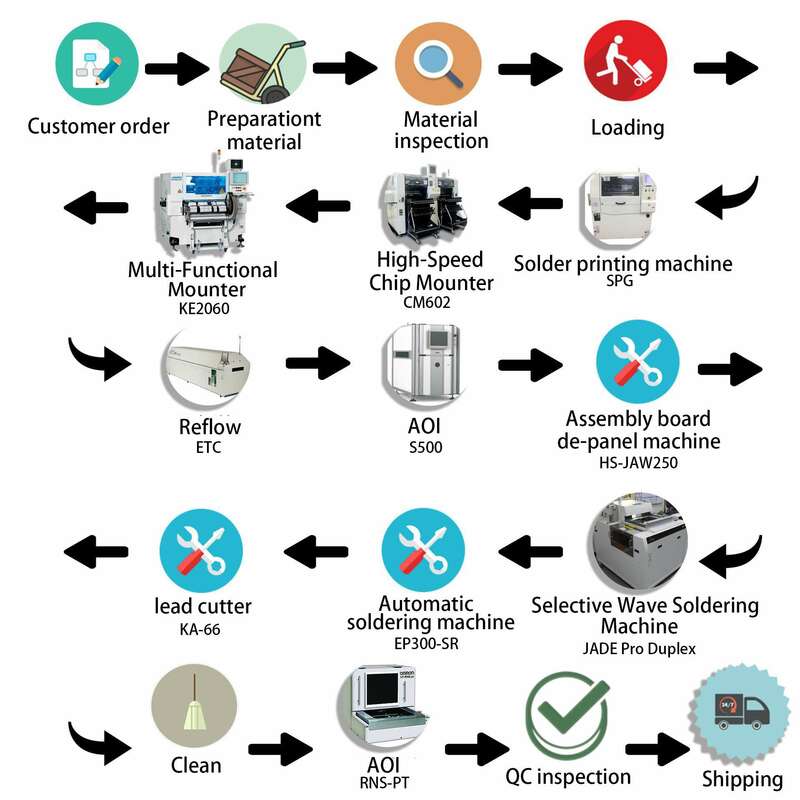 First creation owns a lead-free DIP line, 4 hand soldering line, repairing line, and temperature control soldering iron. Combination covers with PCB to final production by customer’s requirement. PCB function test, CPU burn record operation. Shipping the final production by customized package. 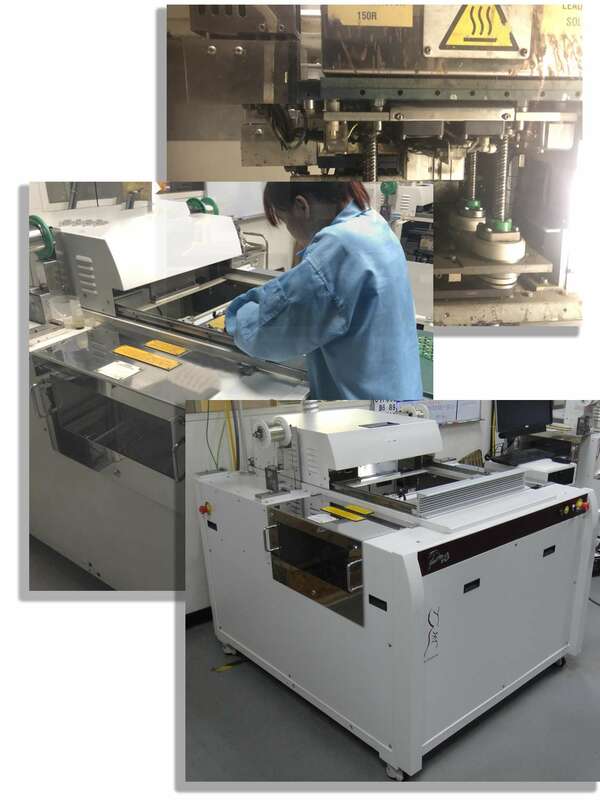 First creation Co. equipment: Conveyor belt production line, Electric screwdriver, Soldering iron, hot press machine, hot soldering machine and a lot of packing machine to reduce manpower, machine, cost to creative the max profit.